Why do you travel? For fun, to learn, to connect? 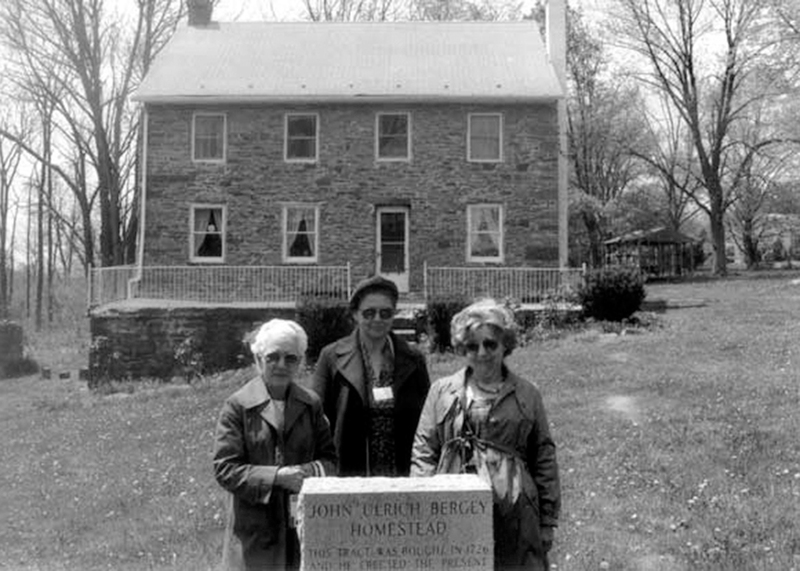 All three combined for Dorothy, Lorna and Gertrude Bergey as they joined a Mennonite Historical Society of Ontario bus tour to Pennsylvania in May 1983. Here, they stand in front of the Pennsylvania home of European emigrant Hans Ulrich Bergey in Salford. In 1897, Pennsylvanian David H. Bergey “discovered” his relatives in Ontario and wrote a genealogy to reconnect the branches of the family. In an age of easy travel and flow of information, we forget how hard it was for immigrant families of the past to retain their connections.